Added on May 11, 2015 by Benson Garner. It’s very easy for entrepreneurs and intrapreneurs to create poor interviews and surveys. What occurs is a line of questioning that is flawed by design and only captures your customers opinions and good intentions. These responses may not give you the hard insights needed to tweak your value proposition. The good news is that these mistakes can be avoided. In this post we explain how to properly interview your target customers to uncover relevant, insightful information about their attitudes and behaviors. Talking directly with potential customers via interviews is one of the cheapest, fastest ways to start collecting facts. But conducting face-to-face interviews can be time consuming and challenging. It can be hard to know which questions to ask. You can't just ask customers what their problems are. You can’t just ask them what they want you to build or how much they'd be willing to pay for your products or services. Sometimes customers don't really know what they want. They might tell you they’d pay for your solution but their actual behaviors might differ significantly from how they respond to your questions. 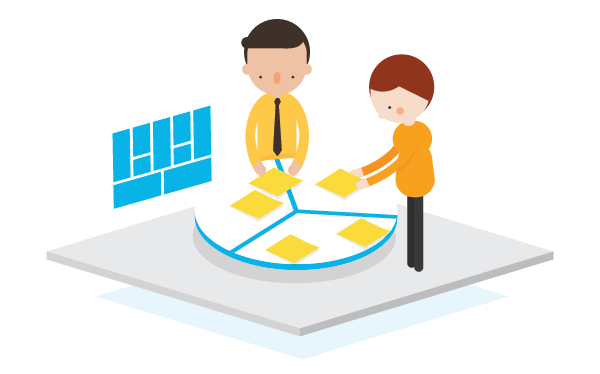 You have to truly understand your customers to design compelling value propositions. You need facts about your customers true attitudes, behaviors, and the real actions they’re likely to take. Conducting insightful interviews is just as much an art as it is a science. The primary goal with customer interviews is to learn what really matters to your potential customers. A quick tip before we jump into the ground rules: conduct interviews in teams of two people to ensure that you don’t overwhelm your subjects. Before the interview decide who will lead and who will take notes. It's best to use a recording device to capture the interview, especially if you can't have a second person with you. Just be sure to ask permission before recording, and be aware that customers may not respond as openly or honestly when they know what they are saying is being recorded. Treat every interview like it's the first time you are hearing the responses that your potential customers are sharing. Dig deeper especially into unexpected jobs, pains, and gains that come up. Listen with open ears and an open mind and avoid interpreting customer responses too early. Your goal first and foremost is to learn everything you can about your customers. Anything you choose to say during an interview is time taken away from learning more from your audience. It's important that you avoid wasting time sharing your opinions, and trying to convince them of your solution. Just listen to your customers and try not to interrupt their behaviors or responses. Ask questions that get your customers to share facts and experiences rather than questions that result in opinions. For example, don't ask a question that starts with "Would you..?" Instead, ask a question that begins with "When is the last time you..?" or "Tell me about a time when you..?" Ask “why?” frequently. It’s a common and very effective technique to get to what’s really motivating certain attitudes or behaviors. You might ask "Why do you need to..?" or "Why is ___ important to you?" or "Why is ___ such a pain?" and so on. Don't ask whether or not somebody would buy your solution or how much they would pay for it. Instead ask questions that help you understand your potential customers criteria for making a decision about your solution. It's easy to fall into the trap of offering your solution during learning interviews. Don't do it. People inherently wish to please others so it's only natural that they confirm your opinions. By providing a possible solution too early in the conversation (or at all) you alter the direction of the interview. Again, your goal is to learn from your customer, not to sell them on your solution. As you continue through the customer development process you will learn new things which will raise new questions. Get permission from your customers to keep their contact information and ask if they'd be willing to let you contact them again in the future. In most cases the person will be happy to oblige. At the end of an interview always ask your customers if they would be willing to make an introduction to people who might find your business useful. Make it easy for them to say yes by offering to write an email or social media intro that can be sent to the contact on your behalf. These eight ground rules for interviewing customers can be found in our new book, Value Proposition Design. In the book you'll find more methods for collecting customer insights and data along with dozens of downloadable posters, exercises, and a lot more. You can get a free poster of these eight ground rules on us just by clicking the button below. Interviews are just a start. It’s important to also create MVPs and run real-world experiments that produce hard evidence about your customer's interests, priorities, and willingness to pay for your value proposition. You can also conduct experiments that allow your customers to interact with your value proposition. These experiments can help you observe the difference between what customers say, and what customers do. What have you found that works well when conducting interviews?